Visiting and tracking chimpanzees is the best add on to your mountain gorilla tour. The pearl of Africa is undeniably the premier chimpanzee destination sheltering over 1500 chimpanzees. Also, Uganda offers chimpanzee habituation experience, which is a full day interaction with chimpanzee in their natural habitats. 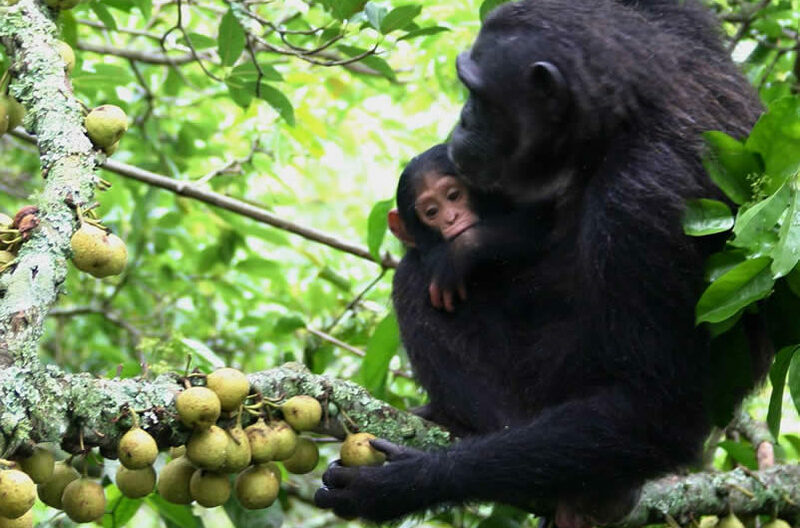 Chimpanzees in Uganda inhabit the jungles of Kibale Forest national park, Budongo forest, Kalinzu forest and Kyambura gorge in Queen Elizabeth national park. Interestingly, Uganda chimpanzee tours are relatively cheap costing ($150) compared to gorilla trekking costs. Go golden monkey trekking in Mgahinga gorilla national park Uganda’s share of the Virunga Massif. Golden monkeys are one of the endangered species listed in the red list of the international union for conservation of nature. The other destination to see golden monkeys is volcanoes national park in Rwanda. Travelers to see golden monkeys are required to buy permits each costing $100 from Uganda Wildlife Authority (UWA). This cost also include park entrance fee and the ranger guide fee. Travelers can also do a golden monkey habituation experience to spend four hours with golden monkeys in the jungle. Add a game viewing on your gorilla safari. Uganda game viewing tours are done in open savannah parks which include Murchison falls national park, Queen Elizabeth national park, Lake Mburo national park, kidepo valley national par and lake Mburo national park. Game viewing is a best way to see different animals such as elephants, lions, zebras, rhinos, leopards, buffalos, elands, impalas, Uganda kobs, cheetahs, giraffes, spotted hyenas, warthogs, bushbucks and different monkey species among others. Game viewing is best done in the morning to catch up with the early risers and in the evening before animals retire for nigh rest. Gorilla trekking can be well complemented with a cultural tour to the indigenous communities. Cultural tours help travelers with extensive knowledge regarding the about the e cultural encounters to learn more about African traditional cultures, norms and beliefs. The most visited cultural groups in Uganda are Batwa pygmies in the boundaries of Bwindi impenetrable forest and Mgahinga gorilla national parks. Batwa were the traditional forest dwellers for thousands of years before the introduction of gorilla tourism. Batwa cultural trail is the best way to learn about the traditional forest life of Batwa pygmies and how they lived harmoniously with wild animals. Among the activities to do during Batwa cultural encounters include collecting honey, collecting medicinal herbs and hunting. In addition to gorilla trekking, endeavor to hike any of the Virunga volcanoes in Mgahinga gorilla national park. The home to the mountain gorillas also shelters three extinct volcanoes i.e Muhabura, Gahinga and Sabyinyo volcanoes hence offering you best mountain climbing experience. A hike t the summit of any Virunga volcano reward you with spectacular views of Mgahinga national park, local farms, homes and other attractions in the neighboring communities. Interestingly, the slopes of this mountain are home to mountain gorillas, which give travelers an added chance to meet mountain gorillas during hiking. Mgahinga and Bwindi forest national parks are also home to numerous bird species. 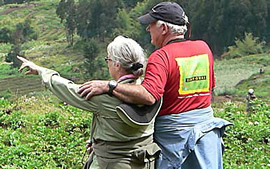 Adding a bird watching tour on your gorilla trekking package in Uganda is therefore a great deal. Among the birds to see in Bwindi include Emerald, western green tinker bird, fine-banded woodpecker, kivu ground-thrush, collared apalis, chestnut-throated apalis, common bulbul, fine banded woodpecker, African green broadbill and grauer’s rush warbler. Bwindi forest is home to over 400 bird species some of which are endemic to this area. In general, gorilla trekking alone is not enough to make your Uganda safari a complete package. Choose from our list of gorilla add ons, explore more of Uganda and enjoy all beauties in the pearl of Africa. A 7 days Gorilla trekking in Volcanoes National Park, the home of mountain gorillas in Rwanda. This is the best trip for primates enthusiasts! Enjoy gorilla trekking in both countries – Rwanda & Uganda. Do not miss golden monkeys tracking in either Mgahinga or Volcanoes national parks. Gorilla safari to Uganda’s Bwindi national park and wildlife viewing along the Kazinga channel and on a game drive in Queen Elizabeth national park. The 6 Days Uganda Gorilla safari takes you to Bwindi national park, Kibale national park for chimps trekking & Murchison falls national park for an amazing view of the waterfalls. A Grand Safari in Uganda that includes Uganda Culture, Gorilla Trekking, chimps trekking, Murchison falls & Lake Mburo tour. This is one of the most rewarding trips offering much to see in less time! Explore DR Congo for gorilla trekking in Virunga National park; go hiking Nyiragongo Volcano and track gorillas again in Volcanoes, Rwanda. Can I do Gorilla Habituation in Uganda From Rwanda?